Working from home has many benefits—there's no commute, overheads are low, and you can choose your own hours. Unfortunately, working from home does not offer people some of the necessities required to have a fully professional look for business, such as a business district address, someone to answer the phone, and a place to send mail that isn't a residential home. If you are struggling to gain recognition in your industry from your at-home office, you should consider purchasing a virtual office in a prestigious area. With a virtual office, your business will look as professional and well managed as you know it already is. Let's take a look at some of the top virtual offices around the world and what they have to offer. London's famous Mayfair District is home to City Office's New Bond Street address. This area is known for its elegant and expensive retail stores—people searching for haute couture and high-end art can come here to shop, and they can visit fabulous eateries afterwards. If you prefer a strictly business setting, City Office has a virtual office on Devonshire Street, Marylebone that has stunning office suites and meeting room facilities that users can utilize. The Devonshire Street address also has a staffed reception and 24-hour access. Also among the top spots in London is Regent Street, a leading business district that plays home to big businesses like Apple. The Regent Street virtual office is surrounded by top stores, big hotels, and even the BBC, which will wow any visitors you have coming to town. Ever wanted to work on Madison Avenue in New York, New York? Now is your chance. Our virtual office on Madison Avenue is right in the heart of the shopping and eating district where many businesses love to set up shop. Many top banks, hotels, and head offices are in this area, and you could be too. If you're looking for a professional address for your business, pick Wall Street. City Office has an entire floor to itself in an impressive building with a grand marble entrance. City Office also has West Coast addresses, including Wilshire Boulevard in Beverly Hills, CA. With panoramic views of the mountains and a restaurant in the lobby, this Beverly Hills address gives you the wow factor you need to impress incoming clients. The virtual office in Cambridge House, Hong Kong is part of a bustling business district and features beautiful harbor and mountain views, as well as good looking and well maintained office spaces that you can access 24 hours a day. If the Chaoyang District of Beijing, China is more your style, pick an office in the Hyundai Motor Tower—the building is high-end, high-tech, and ready for your next conference or meeting. If you're doing business in Japan, pick the Tokyo Bankers Club Building, which has great views of the city and all the mod-cons to wow your colleagues and guests. When you are ready to take your business global, visit yourcityoffice.com and take your pick from our list of global offices. Whether you're looking to stake your claim in London, live your dreams in the USA, or take a stab at the market in Asia, there's a virtual office in a prestigious area you will love. 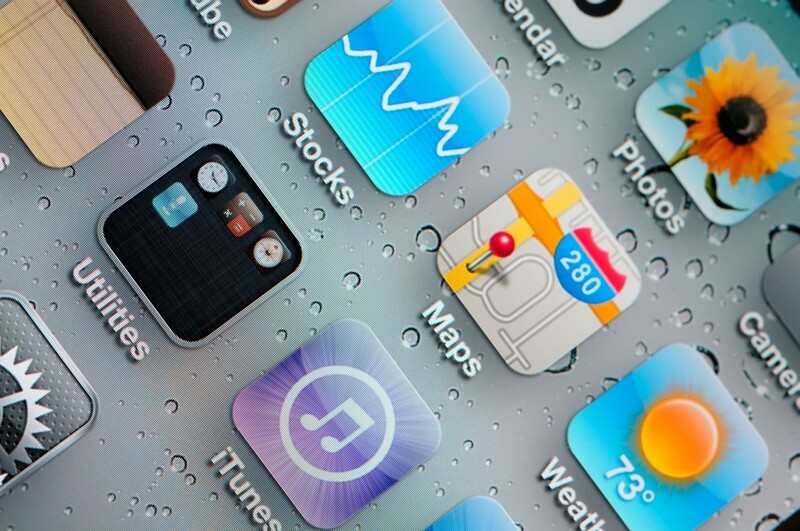 iPhone apps have completely revolutionized the way we do business. Apps provide innovative programs for businesses that are easy to download and usually available for a low cost - sometimes you can even find them for free. This is especially great for small businesses, since it means that you can take advantage of many tools that were previously unavailable to you, and use them from any location with your smartphone. With new apps being released every day, the possibilities for small businesses are almost endless. The hard part is keeping track of what's available and figuring out which apps are best for your business. To provide some inspiration, here are three top picks for May 2018. This newly released app makes use of popular cloud technology, which allows you to access your PC's desktop form any location using your iPhone. If you're away from the office but need to access an important document from your computer, all you need is a Wi-Fi, 3G, or Edge network to gain access to your office PC. Plus, this app even lets you use programs on your PC from your iPhone. Its features include a desktop zoom - which is helpful for navigating a large PC desktop from a handheld device - as well as other features like built-in remote controls for programs like iTunes and Windows Media, and other features that let you play games on your PC from your iPhone. This is a great tool for anyone who is worried about leaving important information behind, or for someone who needs access to their PC from a remote location, at any given moment. This is a great free app that makes it easier to pay bills online from your iPhone. It provides you with a user-friendly interface to manage all of your e-bills from one location, and even syncs across all of your devices so your payment information stays up-to-date no matter how you access your bills. This could be a great way to manage your business's bill payments in one location, especially if your business often has you on the move. This is currently a top-rated app, and best of all, it costs you absolutely nothing to use. This app is great for courier companies, or any business that wants to keep close track of deliveries. My Courier provides a live GPS tracking service that allows businesses and customers to follow deliveries in real-time. For businesses, this means that you can keep of top of where your incoming and outgoing shipments are so you never miss a delivery. The great thing about this app is that is can be used by customers as well. Any account holder can also use the GPS service to keep track of where their shipments are. With all of these new apps available, you'll be amazed at what handheld devices can do for your business. It would come as no surprise if your iPhone soon outranks your computer as your favorite small business tool. Indonesia is a beautiful place to be. It has magnificent weather, happy people, and very affordable prices. 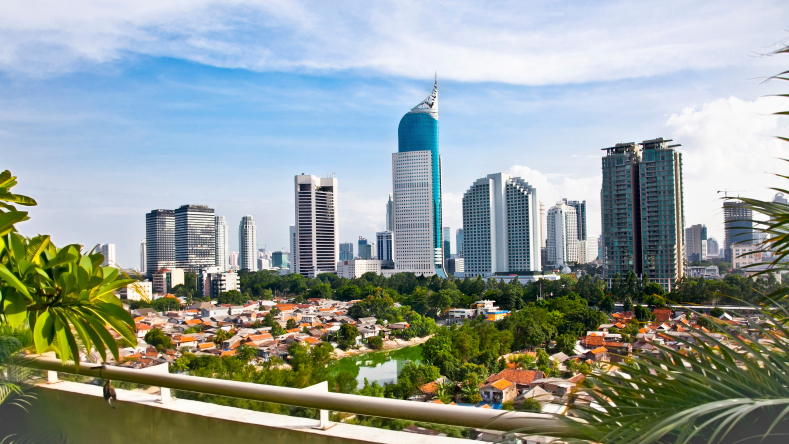 If you're lucky enough to have the flexibility to work from anywhere in the world and make use of the services of a virtual office, you might just be considering Jakarta as one of your options. If you haven't already looked into this possibility, read on about our Jakarta virtual office. You might just have a new option very shortly. Golden Triangle is the epicenter of the business activities in Jakarta, Indonesia, which is exactly where our Jakarta virtual office is located. This prestigious center is one that is widely recognized across the area, and it provides easy and convenient access to all major areas of the city. As this office is situated within walking distance to other office building, banks, high-end hotels, and great restaurants, you'll be put at ease with one visit to the office center. Having your business address at this architecturally and locally distinctive, glass dome structure building is certainly a benefit to your business and an ode to its professionalism. This landmark building marks the center of the business district and sets the bar for upscale businesses. Not only is it a stunning structure, it is also a functional one. The office is outfitted with award-winning CICSCO telecommunications and always connected with high-speed Internet, so you are sure to get the best work accomplished on your visits to the video conferencing and meeting rooms onsite. At this incredible Jakarta premium virtual office complex, you can opt for an all-in-one package (if you need it all) or mix and match the particular services that will best service your business. Get a professional business address for your business marketing and business cards, get a registered address for your mail, opt for professional, 24-hour telephone answering services, or choose call patching with a professional phone number forwarded to your mobile or personal landline. You can also take advantage of the fax to email service and get your faxes directly on your mobile or PC via email. Professional meeting rooms are available for your booking and use, whether for a business meeting or a scheduled conference with clients. At City Office, we offer great incentives for a company opting to make use of this incredible Jakarta virtual office. With no minimum terms, you can choose the length of commitment that best suits you and your business. Should you choose to pay annually, you will receive two free months of virtual office services as a commitment appreciation award. With competitive rates, no hidden fees, and dedicated account managers, this virtual office is certainly a win-win for your business. Being flexible and using the services of virtual offices in Jakarta can significantly benefit your business, especially since non-traditional offices are said to be the way of the future. Technology can be your best friend when it comes to doing business remotely, so why not make full use of it through the services of a virtual office? For more specific information on our Jakarta virtual office click here. Freelancing is one of the biggest trends in today's working world. Experts estimate that by 2020, one in three people in North America will be working online, and most of these people will be freelancers or "solopreneurs." The benefits of working as a freelancer are plentiful. They include schedule flexibility and the ability to work from home, or any other desired location of your choice. But sometimes the home office doesn't provide everything a freelance worker needs. If you're a freelancer, or a business that works with freelancers, there are several ways that you could benefit from having a virtual office. For many freelance workers, dealing with clients and business partners can be a challenge. When you're Working from home, you simply don't have the capacity to address some of the advanced communications needs that your business may have. With a virtual office, you can easily take care of these needs. A virtual office can provide you with a phone answering and messaging service, access to meeting rooms, and even a mail forwarding service. No longer will you have to take business calls directly on your home phone or cell phone, or be forced to meet with clients at a coffee shop. A virtual office adds a degree of professionalism and convenience to any business that every freelancer needs. Although most of the world operates online these days, physical addresses are still important. For some, holding an address in a prestigious commercial district rather than a residential neighborhood can mean the difference between making a sale and losing a client. A virtual office allows you to hold a business address that is different from your home address, but without the expensive overheads that come with owning or renting a physical office space. You can even use your virtual office address on your letterhead and stationery, which will give your freelance business an added professional appeal. 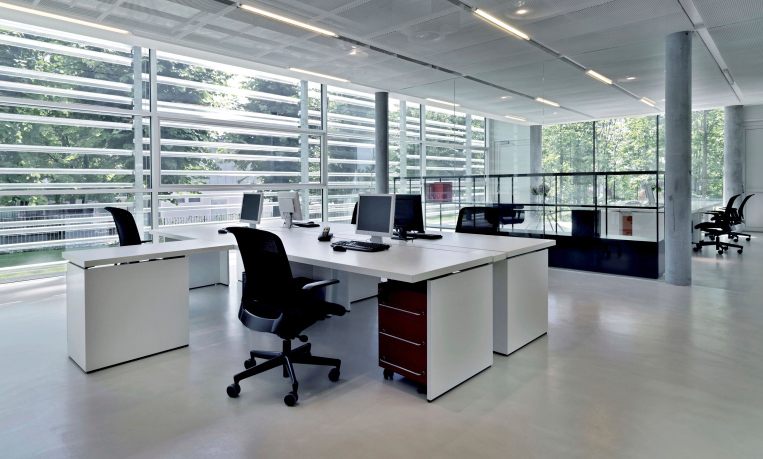 With a standard office space, there are always a number of costs involved. In addition to higher rental fees than virtual offices, brick and mortar offices also come with a number of other overheads including electricity bills, cleaning bills, parking fees, equipment maintenance, phone and internet fees, and more. With a virtual office, you only pay for what you need, thereby minimizing your expenses. Plus, with a virtual office, you don't have to worry about any upkeep or maintenance. Virtual office buildings have their own dedicated maintenance staff. All the details are taken care of for you, so you can concentrate on what's important - your work. With a virtual office, freelance workers can have all of the benefits of a physical office space without actually renting one. This allows you to keep working from home (or your favourite coffee shop, or a park bench, or wherever you like to spend your time), while your freelance business opens its virtual doors in the location that's right for you. Hosting your own tech startup event is a great way to increase your company's brand exposure while also engaging with potential employees, other employers and clients. The benefit of a virtual office space is that you can choose from a number of options that can make your event even more of a success. But what if you throw a party and nobody shows up? A good way to avoid this disaster is to begin with scheduling. Determine the optimal time for your company, your employees and managers to host such an event. Then discover what your community is up to. Schedule your event so that it doesn't conflict with any other major occasions you'll likely be competing against. One of the conveniences of working in a virtual office space is that you can select the precise location for your networking event. You can choose from a variety of spaces to capture the tone and atmosphere of your working and socializing brand personality. Depending on the size of your guest list, find a space that will feel comfortable. Take into consideration issues such as accessibility for people with mobility problems and find a space that can accommodate inclusively. As well, ensure that your location has ample parking and is connected to any major transit routes. This will ensure that guests have no problems in being able to attend. When you invite guests to your event, make sure that your purpose is clear. There's no point in attracting a bunch of computer chip suppliers when what you really want to attract are digital marketers. The best way to find a focus for your event is to build it around some notable speakers. These experts can even be found within your own company. If you're developing a new product or service that can potentially change the landscape of the tech world, make your event about spreading the good news. One of things that startup companies look for is opportunities to connect to others in the industry to see how their technologies and ideas gel. If you're developing a new technology, a social event is a subtle way to kick-start your marketing plan. There are a number of online sites and social forums that business professionals frequent. Both LinkedIn and Meetup have a thriving business community where you can broadcast your event to the right audience. Make certain to give yourself enough lead-time to ensure that your marketing efforts properly saturate your desired market. Once you've created the buzz around your event, don't stop. Consider making it a yearly affair to build continuity and community. As you develop a larger audience, networking occasions become more critical as they help to entrench you within your specialized industry. Once you've decided on a theme and a tone for your event, check out our available virtual offices at https://yourcityoffice.com. We can help you pick the space that will fit the size of your event as well as your budget. We can also suggest other resources that will help you attract the right guests to your event. With technologies like Skype and WebEx that allow your business to hold meetings with people in several different locations at once, it's almost as easy to meet virtually as it is in person. But when hosting a board meeting at a virtual office, there are several other factors to think about that often get overlooked. 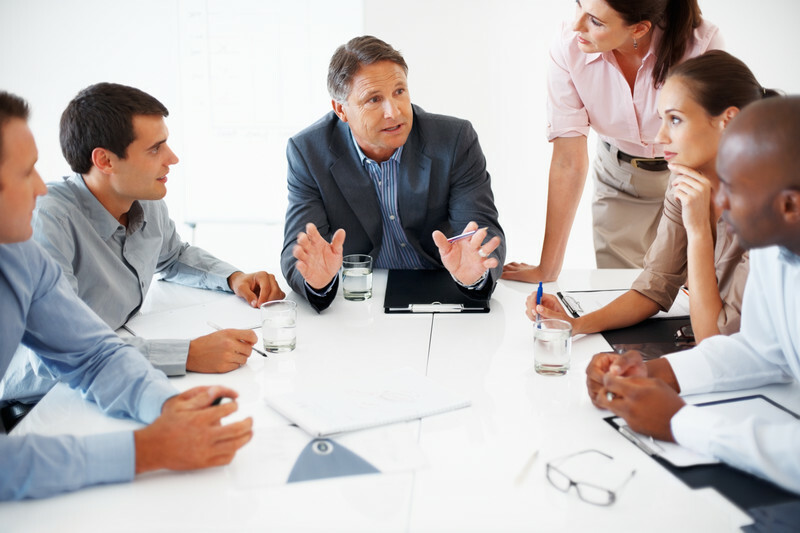 Here are a few tips to help you make your virtual board meeting a success. When you're meeting with people online, you can't simply hand out an agenda to everyone when they arrive. Screen sharing can be a great way to ensure that everyone is on the same page, but sometimes it's best to make sure that your audience is prepared before the meeting starts. It's a good idea to send out an email a day or two in advance that contains not just the meeting agenda but also any support material you might refer to, such as PowerPoint slides, speaking notes, and suggested readings. That way people can print out these materials and use them to follow along and take notes if they wish. Dressing for a virtual meeting is different than dressing for an in-person meeting. This is not to say that you need to wear your best possible outfit, but rather to say that there are certain things you can wear that can be distracting and take away from the flow of your virtual meeting. Bright colors and busy patterns don't typically show up very well on computer screens. Don't wear something boring, but wear solid colors that aren't flashy or distracting. Also think about what will be behind you when you're on screen. Remove anything that can disrupt the flow of a meeting, and try to find a background that contrasts with what you're wearing so that you'll stand out. Sometimes webcams or webcasting aren't the right option for you. If you have a large number of people at your virtual meeting, or if people are using a slower internet connection, pictures can lag and become pixilated, or not work at all. If that's the case, it may be best to stick to audio only for your meeting so that your participants aren't distracted by poor or broken images. Even if you stick with simpler technology, there will always be failures from time to time. Just like in a face-to-face meeting where you have a backup plan in case the slide projector breaks down, you need to have a backup plan for your virtual meeting as well. If you lose your internet connection, make sure you have the phone numbers of the people you are meeting with so they won't be left in the dark. Learn how to use your smartphone as a Wi-Fi hotspot in case you need it, or learn how to broadcast to your meeting participants directly from your phone if your computer breaks down. Many of the same principles that apply to face to face board meetings apply to virtual board meetings as well. Sometimes, though, you have to think about these principles in different ways in order to make your virtual meeting a success. If you do, your virtual board meetings should be just as productive as regular ones, if not more. The Earth is our home and, as such, everyone should be concerned with its health. Luckily, this message is becoming more and more adopted into the daily lives and decisions of many people and corporations, with environmentally-friendly decisions being made on the daily. As both consumers and businesses become more sustainable and socially responsible, we are seeing the utilization of virtual offices as the leading business structure in promoting an eco-friendly workspace. Here are some ways that working from a virtual office can shrink your carbon footprint. When integrating the use of a virtual office and the services many virtual offices provide (like a telephone answering service) into your business plan, you are significantly lowering the need for a daily commute to the office. Without the need to be physically present at your virtual office to continue your business practices, you have the environmentally-friendly option to work more from home or from a local environment within walking distance. In the process, you are making a significant difference by lowering air pollution from your vehicle. Living within walking distance to your virtual office, or opting to take transit when you do visit the office, are other opportunities to make the most of the “green” aspect of your virtual office. When you opt to work from a virtual office, you are virtually teaming up with a group of businesses-minded individuals who require less space to complete their work and are happy to do so on a flexible, shared time schedule. In doing so, you are helping to create a working environment where heating and energy savings are at a maximum. By supporting less space for more workers, virtual offices have significantly lower carbon footprints than a more traditional office. Ultimately, virtual office space promotes a greener working environment and much higher energy savings. As it turns out, your way of working may just be the way of the future. When you choose to structure your business around the use of a virtual office, you are also doing something incredibly powerful and beneficial to the health of our planet: supporting more eco-friendly, flexible, and remote job structures. You surely enjoy the benefits of having flexible work that you can complete at your own leisure from your own home, and you will certainly be happy to know that this is a win-win situation. Not only is this a productive way to grow your business, it is also a more sustainable and eco-friendly way of working, and remote jobs have been said to be the way of the future in business. When it comes to creating a “green” life, both in business and in pleasure, we must all work together to make the needed positive impact on the health of our planet. Luckily, by joining a team of virtual office users, you are doing just that. Place your business in the hands and structure of a virtual office, and join a team of “green” enthusiasts and advocates in the process. For more information on our virtual offices, visit us at https://www.yourcityoffice.com. It seems like every business has a blog these days. So if everyone else is doing it, it must be a good idea, right? Well, maybe. But before you launch headfirst into the world of business blogging, it's important to think about what the return on your investment will be. Here are a few tips to get you started. Sure, lots of blogs are free to set up, and if you use a free site like WordPress or Google Blogger, they don't cost anything to maintain either. What they do take is time. If you want your blog to be successful, you're going to need to spend more than a couple of hours per month on it. The first step in calculating the cost of your blog is to figure out how much staff time it will take up and what that will cost you in salary expenses. Add to that benefits and overheads, and you'll have a good estimate of your monthly blogging expenses. After you calculate your staff time, there may still be added costs to think about for your blog. Maybe you want to upgrade to a self-hosted service for a custom blog design. Maybe you need a graphic designer to come up with a great new logo for your blog. All of these things will mean that a bigger investment is required to keep your blog going. Also consider what it will cost if you want to do things like shoot high quality videos to post on your blog, or if you run into trouble with your blogging software and need to pay for technical support. How Do Blogs Make Money Anyways? Now that you've figured out what your investment should look like, you need to figure out what the return on that investment will be. So how do blogs make money anyways? Well, there are several ways. If you're running ads or using your blog for affiliate marketing, you will generate a certain amount of monthly revenue. And even if you don't use these methods on your blog, your blog should still be generating revenue for your business by building a new customer base. This is harder to measure, but there are methods that you can use to make your guesses more accurate. First, by allowing people to follow your blog, you can keep track of any web users who are interested in your business. But just because someone follows your blog, that doesn't automatically make that person a customer. You can use online surveys to see how many of your followers actually bought your products or used your services in the past month. Also, you can use Google Analytics to track how many people visit your blog on a regular basis to see how many people are truly engaged followers. If you don't already know the average monthly value of new customers, you will have to calculate that, and then apply that to the average number of new customers per month that your blog brings in. Once you know how much your blog costs you each month, as well as how much monthly revenue it brings in, you can calculate your ROI. The standard formula is revenue minus investment, divided by investment (expressed as a percentage). If these numbers look good to you, then blog away! If not, then maybe you should reconsider the way your business runs your blog and find ways to make it more profitable. Once you have a better understanding of your blog's ROI, you should have an easier time deciding how many resources to put into it each month. Plus, knowing that your business blog is a good investment will keep you motivated to keep your blog going in the long run. Working from home has many challenges, especially when it comes to staying focused and on task. When it comes to running an entire business, however, taking your desk to the local coffee shop for the day doesn't always solve the problem. Luckily, in today's modern world, with all the ways you can run a business on the go, there are solutions to almost every problem. Here are five ways that working from a virtual office beats the coffee shop when it comes to running your business. If you're used to working from home, you know there is one major drawback when it comes to publishing your business's information: you don’t have a professional address. For obvious reasons, both professional and personal, you likely don't want to have your home address used for business purposes, and you're unlikely to strike a deal with the local coffee shop owner. Opting to work from a virtual office means having a professional and deliverable address. If you run a business with business partners or employees who also work on a remote basis, you're likely to require a business meeting every so often. You may also wish to meet with clients in a professional, reserved, and quiet setting, unlike those offered at coffee shops. Virtual offices often offer furnished, professional, and fully equipped meeting or conference rooms that can be booked ahead of time for these events. Virtual assistant services are yet another benefit of working from a virtual office that just can't be paralleled by the coffee shop setup. Since first impressions are key when it comes to your business and gaining the trust of future clients, having a professional 24-hour answering service is certainly something that will benefit your business and take the burden off of you. If you're more hands on when it comes to your business and like to speak directly with your clients, you can opt for a call patching service through your virtual office. With this setup, you'll be given a number of your choice that will direct calls to a landline or mobile phone, all at standard business rates. Though faxes are clearly on their way out when it comes to all of the technological advancements being made in the business world, many businesses still feel compelled to offer a fax line for the ease and convenience of their business partners and clients. If this is the case for you, you can opt for a fax line, which will be converted to email and sent directly to you from your virtual office provider. The coffee shop is great for many things, but running a business from one arguably isn't the best idea. Opting for the assistance and setup of a virtual office provides virtually all of the benefits of having a professional office without the cost. A virtual office also offers one benefit that is intriguing all on its own: it allows you to work seamlessly from any place you choose. For more information on virtual offices around the world, visit https://www.yourcityoffice.com. In any business environment, it is inevitable that you have to hold your fair share of staff meetings in order to set goals, see how everyone's doing, and determine whether those goals are being met. A team staff meeting should be efficient and communicate everything that you need in a short amount of time. The key to great team or staff meetings is productivity! Master the art of holding efficient team or staff meetings, and watch how results in your workplace will meaningfully increase. Here are five steps to improving your small team or staff meetings. The first step to any successful staff meeting is to agree on the purpose of the meeting. If you don't, then order will likely fall apart and your meeting will be in shambles. Allow all of your team members just a minute or so to report on their progress in their specific area of accountability. This will save lots of time, as it allows for bullet points of information per individual. The whole reason for coming up with an agenda for your staff meeting is to create order. It also sets a course for the purpose of the meeting. Having an agenda will ensure that your meeting stays on track. Be sure to stick to the agenda though, because lots of business meetings have an agenda and then fail to adhere to it. Staff meetings shouldn’t go on for hours. 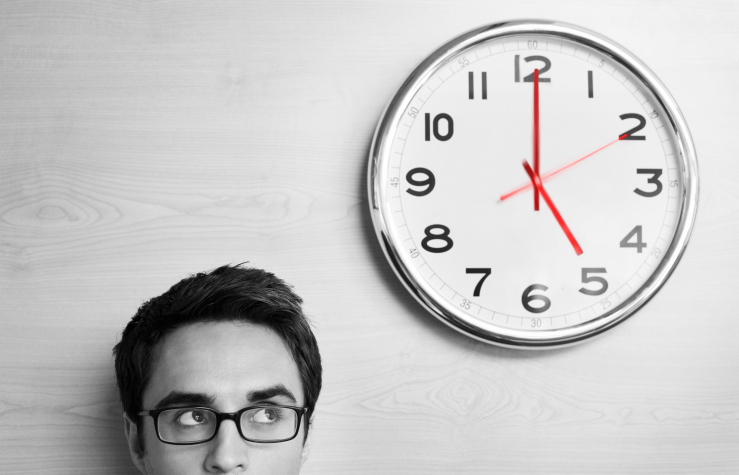 You shouldn't let anyone in your meetings go even just one minute longer than necessary. At the same time, if you've set aside one hour for the meeting, don't think you have to stick to an hour-long meeting when everything's already been covered in 45 minutes! Being too rigid can waste time that you could be using productively. To switch things up from time to time, make an effort to bring in some interesting and entertaining guest speakers. This can even be as basic as just bringing along somebody from another department in the company for the purpose of updating your entire staff. After all, it's a lot more efficient to stay up to date on what's happening in other departments when there's a regular contact from that department. Staff meetings are an ideal time and place for you to practice your skills. You can prompt everyone else to practice their skills too by introducing team-learning activities that either sharpen or teach skills to your various team members. For example, why not role-play job skills during your next meeting? If you incorporate these five steps in your team or staff meetings, then you'll be able to improve the quality and the scope of your meetings. Note how these steps involve both a degree of discipline and a degree of creative flexibility. Team or staff meetings are meant to promote a more efficient workplace environment, and if you implement these steps, you'll have better meetings. Virtual offices have changed the way many of us do business. This popular business trend appeals to small and growing businesses. From your virtual office you can establish your business with an upscale business address, without the expensive overhead cost. Business owners and staff can work remotely, while enjoying the benefits of a virtual office space. When working from a virtual office there are some basic tools you'll need to maximize your productivity and increase your business' efficiency. When working from a virtual office, Google Apps is the best bet for any business. This powerful suite is easy to use and offers popular services including Gmail, Google Calendar and Google Drive, which offers ample storage space for all of your files and documents. Google Docs is another bonus of this program, and Google+ is a networking tool that is growing in popularity, and may end up providing your business with an added boost. When managing a business remotely, it can be hard to track staff productivity. By using productivity tracking software you can easily monitor and review the performance and efficiency of your remote staff. Time clock software will allow you to clearly see staff attendance, and produce usable data regarding time at work. It's important to establish productivity standards and goals to keep remote staff motivated and informed of expectations. Regular evaluations will help keep all of your virtual office staff members working toward success. Computer monitoring software is also available, so managers can keep an eye on their remote workers' dealings online. Although Google does offer a lightweight messaging service, you'll want to explore more complex applications for your business. Skype is a free service that will enable you to connect instantly with staff and clients through video chat, messaging or voice conversation. Skype supports group chats and video conferencing, and easily connects you with your team online. Through SkypeCasts, a user can conduct voice conference calls with dozens of participants and easily moderate discussions. It is possible to conduct telephone business through Skype or Yahoo! messenger for free with PC to PC calling. JAJAH however is a more reliable and cost effective choice if your business requires you to make long distance and international calls. JAJAH uses VoIP to place traditional calls to landline and mobile numbers. Using JAJAH for your long distance business calls will be less expensive than dealing with a telecom company. 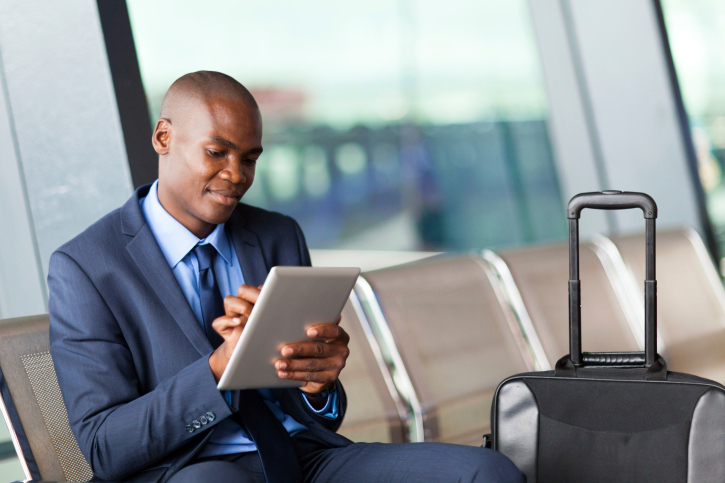 Many virtual offices can also provide your business with reception service. 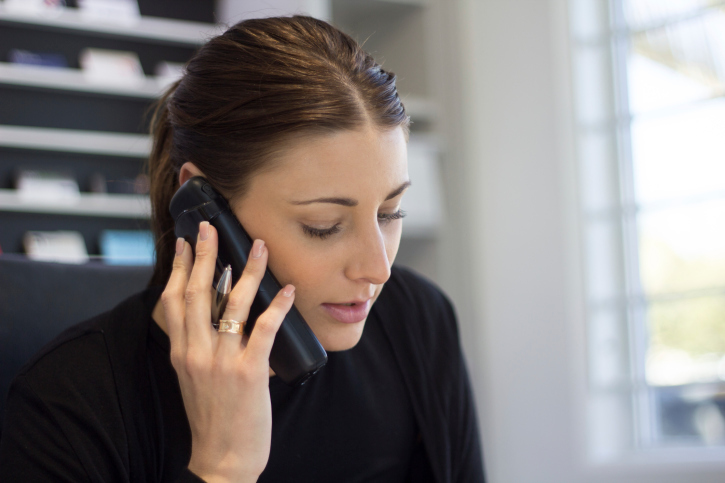 Reception service is a great way to manage incoming business calls. Visit YourCityOffice.com to learn more about virtual services like telephone reception. When working remotely with a team, it's important to be able to easily share important documents and working files. An online storage program like Dropbox or Box.net provides business owners with the ability to easily share and store documents in an accessible location online. These programs allow users to download files directly from the interface to any computer or mobile device. With Box.net, users can easily organize their files with a series of categories and tags. This service will help you keep an organized filing system from your virtual office. Technology is changing the way we live our lives and do business. With virtual technology evolving quickly, it's becoming easier than ever to run a successful business remotely. Many virtual offices offer pay per use professional space for personal meetings when you need them, but most tasks can be accomplished remotely. With these five essential virtual business tools, your virtual office will be ready for business, and set for success. A Facebook contest is an excellent way to generate social media buzz for your business and attract a larger audience to your Facebook page. If you're looking to build your Facebook business page, one of the easiest and most effective ways to do it is by launching a contest or a series of contests. In fact, many leading social media managers today posit that it is impossible to build a business page without at least some type of contesting. Convinced that contests are a tool you need to start using? Great - below are six tips to help you get started! If you are a smaller business this might not worry you as much, however, it is always a good thing to have your bases covered and have a set of Facebook-specific contest rules drawn up that absolve you from risk. You can have a generic set of rules created that you can use for all contests- this way you'll always be legally safe and as your company grows you can make sure your business is protected. Facebook has certain rules that they have created for how contests can be run on brand pages. While it isn't often that Facebook penalizes brands for not following these rules, it can happen. Instead of taking a risk, familiarize yourself with the Facebook rules for brands and follow them. The contesting rules are not too difficult to adhere to, and by doing this you ensure your company is, once again, safe now and in the future. If you set up proper contest procedures at the beginning, you will not have to worry about changing your processes later in the game. Many social media managers use third party clients to manage their contests. These programs function similar to an app and make running a contest a seamless experience. Check out www.woobox.com for one of the more popular tools. The more prizes you give away, the bigger a noise your contest will make in social media. Having several winners will increase the "talking about this" metric on your Facebook page - which is the best way to attract new likes to your page. By offering many prizes of smaller value, you play on psychological principles of probability evaluation and make people feel as if they have a better chance of winning. People often have negative feelings about their chances of winning a prize of substantial value, however, people feel more optimistic about their chances of winning if the prizes are of lesser value. So give away several lesser value prizes and you will have a happy audience. Whenever possible, have an element of social sharing built in to your contest so that you can increase the amount of interactive potential your contest holds. If you can offer an incentive for sharing the contest, people will be more likely to share and ultimately, more people will hear about your business. 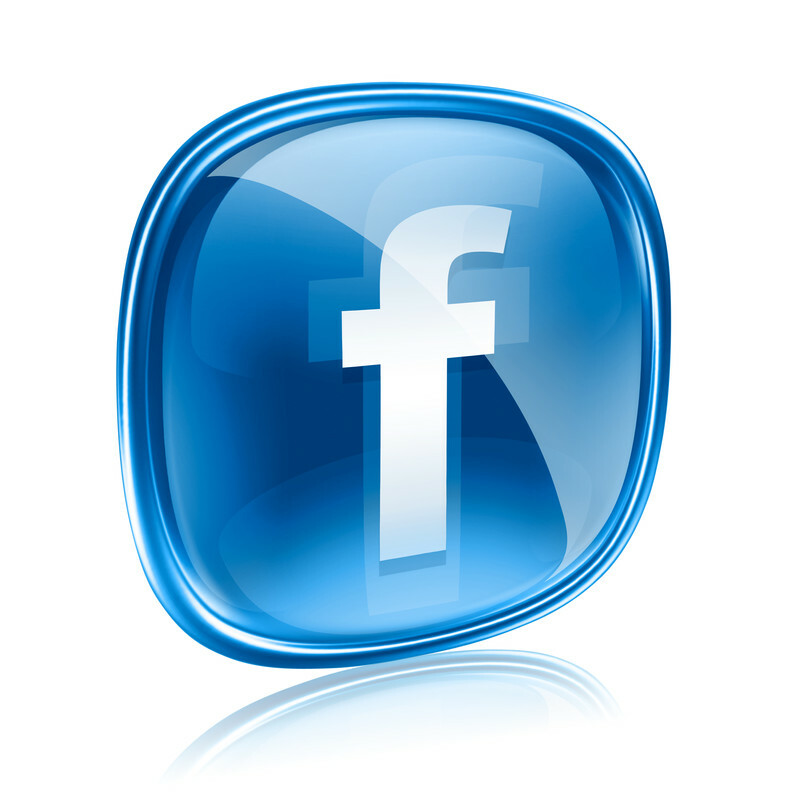 Running a Facebook contest can be a great way to generate hype and attract new business. Follow these six tips to make the most of your social media contest. Time management is one of the most important skills an entrepreneur can master. With so much information available online and countless time management tools on the market, it is somewhat surprising that many people are still plagued by procrastination. The better a business owner can manage their time, the better they will be at running a business. Day planners are great, but if they are not being used properly they will not be an effective tool. Often people will jot down appointments and things that need doing, but if they are not delegating their time well many things end up left undone. Spend some time understanding the makings of your day before attempting to make a schedule. Record all of your thoughts and dealings for one week to better understand where your time is going throughout the day. You will be able to see clearly where you are falling short, and where you are wasting your time. The problem with to-do lists is that they grow longer and longer and can seem daunting to complete. Instead of constructing one master list, break things to do up into separate blocks of time. Anything that is worth your time should be given a block with a clear beginning and end. Give yourself the required time for important thoughts, conversations, and actions. With clear expectations, you will be able to manage your time more efficiently. It is incredibly important to have the discipline to keep appointments. Take the first 30 minutes of your day to plan your day. Proper scheduling is crucial to successful time management. Don't start your workday until you have finished planning it, and make sure that you devote half of your time to the thoughts, conversations, and actions that yield the best results. It is likely that twenty percent of these reflect eighty percent of your results. The planning portion of your day is the most important and will help get your mind wrapped around the activities that are planned for the day. Spend five minutes preparing before each call or action. Decide what results you want to obtain and how you are planning to get those results. This will actually slow time down, and make your dealings much more effective. At the end of each of these calls or tasks, reflect for a few more moments. Ask yourself questions, and find answers. If you did achieve what was sought, affirm your success. If you did not, try to find out what was missing. Before moving on with your day, try to answer for yourself what you may do differently next time to produce a better result. Build a better business by mastering one (or all) of these time management methods. If you still find yourself distracted, you may be stretched too far. Consider a full service virtual office to keep you focused. By having a third party answer your calls and forward messages, you can carry on with your day and maximize your chances of success. Having a virtual office has numerous perks. You can get up when you want, essentially work when you want, save money on gas, and save commuting time, to name a few benefits. But breaking yourself away from the security of a day job can be a challenging task. However, thousands of people have done just that, as there is more flexibility in the way you choose to work than ever before. The biggest challenge is finding a virtual business that suits your skill-set. If you think you are able to write well, then there are many opportunities online that can help you secure income. However, to be able to earn enough money online to replace a full-time job, you need to be able to write well and at a relatively fast pace. Several specialized blogging communities offer $50 or more for an article they want to syndicate. The challenge, however, is being able to write well enough to have your work syndicated. Often, you may take the time to write a piece, but it may not be what they are looking for. With so many people using the Internet, there is a huge opportunity for companies to make money by advertising online. Blogs are locations that these companies often choose to advertise. While you would need to have a lot of visitors to your blog to attract a company to advertise, nearly any blog is able to use Google AdSense, which posts ads from companies onto your site. Each time a person clicks on one of these ads, you earn a small amount. That amount can range widely, but it is generally anywhere from $0.30 to $2.50 per click. Generally, about 2 per cent of people visiting a site click on the ad. That means if you can generate 10,000 views per day, you're earning around $200. You may choose to make several blogs and earn a smaller amount off each of those. Websites such as Craigslist.com can generate a lot of traffic to your at-home business. The key is identifying your skill and then marketing that to the world. Customers will view your ad and then contact you. Your skill could be playing the piano, for example. Advertise that online and you can get a huge response from people wanting to learn how to play. Getting started is the hardest part, but if you apply consistent effort, your at-home business could take off. Even if it doesn't, you will learn from your mistakes and then you can make adjustments. Eventually, you will likely figure out the right formula for your at-home business. Once that happens, it's just a matter of being able to keep up with the number of clients asking for your service. In the summertime, it can be a small challenge to close business deals due to the sunshine that's tempting your prospects to enjoy the weather outdoors. So what are you to do? It's not like meeting in your virtual office is a better deal than spending some time in the sunshine. Don't worry, though. It's still possible to close new business deals even if your prospects are taking in all that nice, warm weather outside. Here are some summer sales tips to help you close new business deals in spite of the weather. When using a time-sensitive close, it's best to go with a timeline that your prospect has already communicated or implied in some way. Such an approach to closing a business deal should handily circumvent any competition from the sunshine outside since it imposes a timeline that simply can't be ignored. A good way to approach this with your prospect would be to remind him that he said he wanted to wrap the deal up by a certain time. Then, it's imperative that you push him to look at his calendar to nail down a final date for the close. One thing that will get your prospect back into your virtual office and out of the sunshine to wrap up and close your deal is when you remind him of the real value that you provide him with. This is the value that you'll give him right there in a meeting with you, not just the long-term value that you can provide for his business operations. By reminding him of what you can do for his company, you'll succeed in getting him away from the sunshine, on the same page, and on the way to closing the deal with you. The last good way to get your prospect to close the business deal is to set clear next steps. 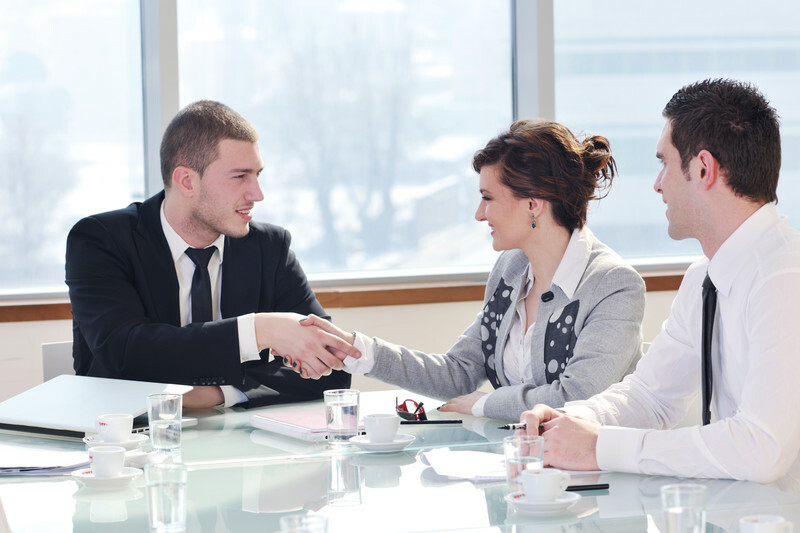 Even after you close with the prospect, your business relationship is far from over. In fact, you could say that it's just beginning, especially if you're a provider of a service rather than a product. So even after you close, it's imperative to keep following up with your prospect by outlining, during the close, what the next steps in your business relationship will be. This can include anything from a suggestion on how the prospect can implement your solution to sending a summary email that covers all of the basic points of the close. Thanks to these summer sales tips, you won't have to worry about the sunshine competing with you over a close. You'll now be able to keep your prospects close to you so that you can seal the deal, instead of having them spend more time outdoors. If you have any questions about virtual offices, please don't hesitate to visit YourCityOffice.com. We'll be more than happy to tell you what you need to know. Building a strong brand is important for any business. Small business owners operating from a virtual office desk have the world at their fingertips. A strong brand holds value, and value can equate to more profit and positive cash flow. Build a better brand for your business with these five tips. Advertising doesn't need to cost your business a fortune. There are many million-dollar companies that spend little to no money on advertising. A good idea is to instead use your advertising budget locally; support the community and build loyalty with the people living in your local market. Sponsoring sports teams or charity events is a good way to get your business noticed while helping others. Creative events and contests are also good ways to get the people in your city talking about your brand. These are strategies that can be easily executed from a virtual office space. Stand out from the competition with an eye-catching logo. Your logo is how customers recognize and relate to your products. A logo should be timeless, as you won't want to change it later. Changing a logo can negatively affect the value of a brand. Your packaging, marketing materials and promotional efforts all influence your brand, so be unique, and don't be afraid to leave an impression. Marketing is completely different from building a brand. Branding is done for consumers while marketing is done for a business. Both of these aspects of small business are important, and can lead to sales and customers. Keep customers satisfied with an ongoing commitment to quality. The value customers give your brand will boost the value of the company as a whole. Use resources that allow you to provide outstanding service from your virtual office space. There are many programs and applications available that can help your business provide excellent service. The Internet has really raised the bar for small business owners; it has allowed users to connect globally from any Internet connection. How your business presents itself online is important for your brand, and can help build value. Social media has made it possible for small business owners to market their brand easily and effectively. Use these outlets to build a community of loyal followers, and to market your brand to potential new clients. Choose social media platforms that you believe have the most value for your business, and focus on only a few. Put your efforts into creating appealing content and conversations that positively reflect your brand's image. Working from a virtual office is a cost effective way to get your brand out into the business world. Build value and boost revenue with these valuable small business tips. Set the bar high, but realize that there are limits to potential success. Make your small business boom, and build your brand from a virtual office desk. If you run a small business or are in charge of a startup business, chances are you're Working from home. While this might be a great way to save on overhead costs, there are things you're missing out on if you are running your business entirely from a home office. With a virtual office, you can take advantage of a variety of services, such as a mailing address and phone answering services. One of the best services virtual offices provide are meeting rooms. Read on for how these meeting rooms can make your next business meeting a huge success. Holding a meeting in your home office or in a coffee shop won't portray your business as professional or well established. A meeting room, on the other hand, demonstrates that your company is firmly established and high profile. Most virtual office locations will have meeting rooms that you can rent, either by the hour, by half day, or by full day. It's possible to schedule these meeting rooms for when you will need them. In addition to having a professional meeting place for your business, taking advantage of this service also means the help of on-site managerial staff. The staff at the location can help with any questions, and will only enhance the professional atmosphere. Your home office won't necessarily have all of the supplies, facilities or services needed for a successful business meeting. A coffee shop most certainly won't have all the supplies you'll need. A virtual office meeting room will have everything you could possibly need to keep your meeting running smoothly. Refreshments, such as tea, coffee and light snacks will be served. Internet access and video conferencing tools are available, and other office supplies can also be provided if need be. Just some of the supplies available to you include photocopiers, printers and stationery. You can also take full advantage of the phone answering services. When in a meeting, you shouldn't need to worry about missing an important client phone call; you need to be focusing on the task at hand. With a virtual office, all important phone calls will be answered by trained professionals, and you can receive the message and call back at a time that is more convenient for you. There are a huge number of virtual office meeting rooms across the UK, the USA and the rest of the world. All of the locations are central, accessible and affordable. Popular meeting spaces in London, Chicago, Hong Kong and Singapore can all be rented out, beginning at just £35 per hour. While working from home is a great business decision, it isn't ideal when it comes to meeting with clients. Luckily, with virtual office meeting rooms all of the benefits of a physical office space are offered to you, without the cost of renting out a physical space yourself. Meeting rooms help make a lasting impression, which is sure to result in a successful business meeting. Small business owners know the importance of controlling costs. You can run your business as efficiently as possible, and build your brand wisely, with these seven tips for saving money. Being frugal will help keep profits up and expenses down, so you and your business can succeed and grow. Mailers and invoices sent through the post cost your business money. Save on postage whenever you can, and consider going paperless if possible. If your business does use traditional mail for marketing materials or product orders, get your mail out early in the morning. This will get your mail to its destination faster without the cost of an upgrade to priority or express delivery. Save on staffing with creative techniques like interns and virtual staff. Many university and college students receive class credits for internships in their area of study. Look toward your local youth to boost business during your busy season for less. Another great money saving solution is virtual staff. Virtual assistants and remote workers can cost you less, and do not require additional office space. 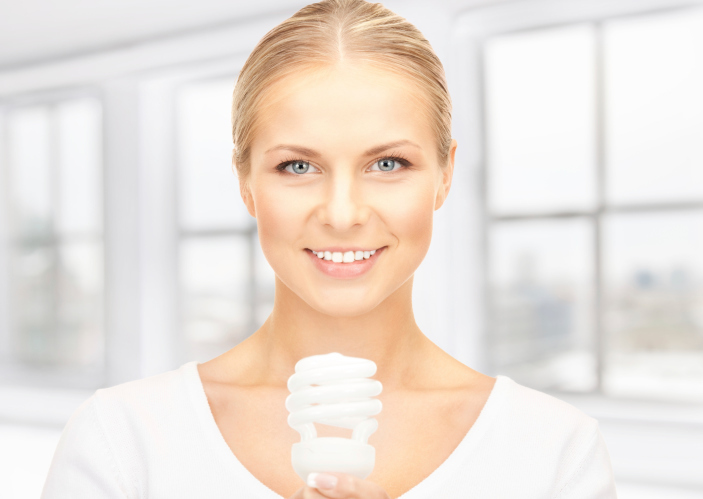 Energy-saving techniques do not just benefit the environment. Being power smart also saves money. Much of the power consumption today is actually wasted energy, but that doesn't need to be the case. Using power strips is a great way to ensure you are not wasting energy when your electronics are powered off. Avoid power leakage by using power strips and turning electronics off this way. It is also wise to look at your bills as they come in, and see if there is any space for savings on telephone and other business-related bills. All businesses need to spend on services. Whether it is manufacturing, design, marketing, or distribution, there could be room to save. Talk to your providers, and see if creative payment arrangements may be possible. Bartering is not dead, but it is somewhat of a lost art. You may have valuable products or services at your disposal that could save you on monetary costs. Negotiations can lead to savings, and you’ll never know if you don’t ask. Marketing doesn't need to cost your business a fortune. The age of the Internet has connected consumers and businesses without high advertising costs. Take advantage of social media and other low-cost marketing techniques to save on marketing without suffering exposure. Contests and local community events are another great way to build your brand on a budget. Office furniture, supplies, and electronics are all business expenses. It is possible to save on these purchases in a variety of creative ways. Instead of shopping for office supplies once a week, buy in bulk once a month. Office furniture and electronics can be bargain shopped, found online, or bought at auction for a fraction of the cost of buying retail. Operating cost can take away from business profits, but there are creative ways to cut overhead costs without sacrificing quality. Virtual offices allow you to keep a prestigious business address for a fraction of what leasing the space on your own would cost. Virtual offices have meeting spaces that you can easily book for the meetings and appointments you need, without paying for unused space. To learn more about the benefits of virtual offices, or to find locations in your area, visit us at www.yourcityoffice.com. Owning your own company is both rewarding and challenging. Save yourself some stress, and increase your business's cash flow with these tips for saving money. Controlling costs can be easy with creative techniques and frugal functionality. Find your inner penny pincher to push potential profits past expectation. If you're self-employed, you most likely have a home office. Maybe it's a separate room in your basement. Maybe you have a covered patio with a view. Maybe your workspace is your kitchen table. However, a home office may not be meeting all of your needs, and may actually be hindering your ability to grow your business. Here are five reasons why you should consider a virtual office for your small business. Working from home comes with certain traps and problems that need to be addressed. If you're working in your living room, for instance, you may suddenly become tempted to turn on the TV and catch the latest episode of your favorite soap opera. At home distractions are everywhere, from that pesky lint you forgot to take out of the dryer to the kitchen full of delicious food. Procrastination is the freelancer's deathtrap, and it can eat away at your precious earnings. A virtual office gives you the professional environment you need to stay focused on work - for the whole workday. Though much of the information economy has moved online, certain business activities still require a physical address. Every business needs to publicize an address where clients can send payments and submit inquiries. If your business address is a residential address, it may give your clients the impression that you are not serious about your business or that you aren't successful or well-established enough to afford a real office. In business, a professional appearance is key to landing deals and turning a profit. A virtual office will give you a business address that will impress your clients and generate more business. Every business requires certain amenities in order to function - amenities such as fax machines, a dedicated phone line, and meeting rooms. In a physical office, these amenities must be purchased. Many business owners, though, simply don't have the budget for these things and opt instead to go without. A virtual office service will provide you with these necessary business amenities at a price that you can afford, since you split the rent with other business owners on your floor. A major disadvantage of working from home is that it quickly blurs the line between your work and your personal life. Studies show that a good work-life balance is vital to psychological health, and being unable to separate your work environment from your home can have detrimental effects. You may experience guilt when out with friends, for instance, because you think you should be at home working. Or you may be toiling away when you get the sudden urge to turn on a movie. A virtual office will allow you to have set times for work and for play, which will keep your body and mind healthy. Working at home for hours on end can be a very isolating experience. If the only personal interaction you have during an 8-hour workday is online, this lack of face time with other people can leave you feeling drained and depressed. Humans evolved in groups and are social creatures by nature. In a virtual office, you will have neighbors whom you can invite out to lunch and building staff you will see every day. This will ultimately leave you feeling less isolated and happier at work; this will boost your productivity. Running a business always comes with certain challenges. Those challenges can be compounded when you don't have a dedicated space in which to do business. A virtual office is a great way to reap all the benefits of a physical office, while only paying for what you actually need. If you run a home-based business, making the switch to a virtual office could improve both your personal life and your career. When it comes to establishing an organized and focused atmosphere in which you can maximize your business' potential, it's important to consider your personality type. If you consider yourself to be a chatty, extroverted person who loves to connect and converse with other people in both social and professional environments, you might be wondering how a virtual office can serve both you and your business. Here are three ways that you - the extroverted entrepreneur - can not only survive working from a virtual office, but thrive too. As someone who loves to engage in conversations with other people for the purpose of building relationships and gaining valuable insight, you can surely imagine the opportunities that can be found through networking events. Whether they're social or professional in style, networking events can be the key for extrovert entrepreneurs who want to thrive in a virtual office setting. Alternatively, you can look at your area's events calendar and make attending conferences and guest speaker events a frequent occurrence. Pairing business networking meet ups with larger motivational events will surely bring you plenty of opportunities to ignite your inner conversationalist and connect with likeminded business professionals. It may seem like you won't have many opportunities to connect and network in your own office when you switch to a virtual office setting, but you might just discover that there's much more opportunity here than you first acknowledged. Look around your own virtual office when you're visiting, and introduce yourself to your neighboring entrepreneurs. You might be surprised at how quickly you can find yourself involved in an engaging and beneficial conversation, perhaps even over an out-of-office coffee or lunch. With a virtual office, you may not have the opportunity to connect and converse with your business partners and employees on a daily basis, but you'll certainly have ample opportunity to host regular team meetings in your virtual office's conference room. In order to keep your chatty self intellectually stimulated and creatively driven on a consistent basis, be sure to make good use of the available meeting rooms. Make your team meetings regularly scheduled events, and perhaps play with different ideas and strategies to get the most out of your meetings. You can even opt to invite guest speakers and other professionals to your team meetings in order to keep your entire team excited and intellectually stimulated. Ultimately, the potential of maximizing your business is significantly affected by your ability to maximize your productivity as an entrepreneur. So be sure not to leave your personality type out of the equation when you decide where to conduct your business. Rest assured that a virtual office, when paired with extra-curricular activities for social interactions, is a suitable setting for your business and for you, the extroverted entrepreneur. For all things related to virtual offices, including our various locations and services, visit us at YourCityOffice.com. Being a mom is a tough job on its own, but throw in a career as well and you've got a real juggling act. While it isn't easy balancing your career with your home life, now it is easier to do than ever. With a virtual office, achieving a work-life balance is attainable. Read on for more information regarding virtual offices and how they can help you manage your work life and your home life. One of the advantages of working from a virtual office is the reduced commute times. When you work from a virtual office, waking up early, rushing through your morning routine, hurrying your kids off to school, and getting stuck in rush-hour traffic is a thing of the past. A virtual office means you work where you want and when you want, allowing you plenty of time to get your kids ready for school. Your mornings will be far more leisurely and your kids will appreciate seeing you a bit more each morning. Another benefit of a virtual office is that you only work at the office when you need to. For example, most virtual offices provide you with office equipment and supplies, as well as meeting rooms, which are perfect for meeting with current or prospective clients. This might mean that you travel to the office once a week in order to meet your client or use the photocopier; otherwise, you work when you want and you work your own hours. This is a working mom's dream: a virtual office provides you with enough flexibility to focus on your family first, rather than always putting your career first. When using a virtual office, phone answering services, mailing services and administrative services are all available to you. There is a range of benefits for working moms: you can spend time with your kids without worrying that you'll miss an important client phone call. 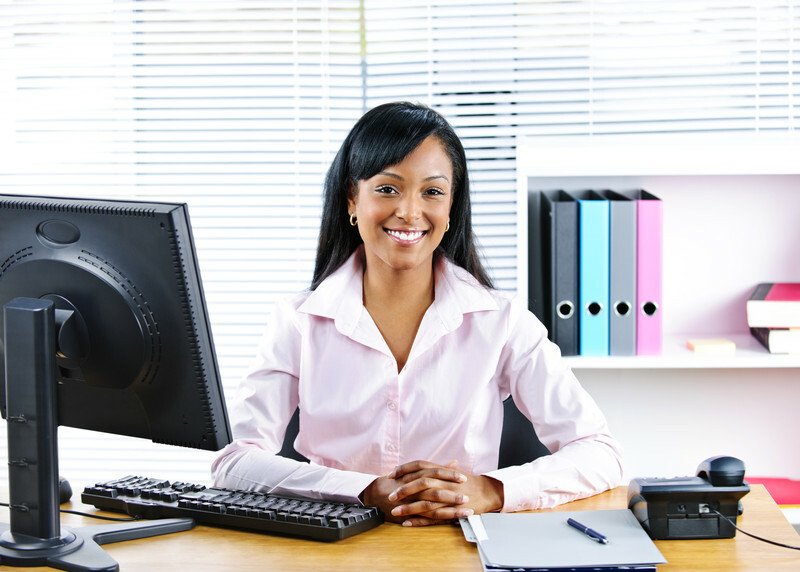 A virtual office administrative assistant will answer any calls forwarded to the office and will take down any messages for you. In addition to this, you can maintain your professionalism by using the office's address as opposed to your home address; none of your clients will ever know that you are juggling both work and family life. 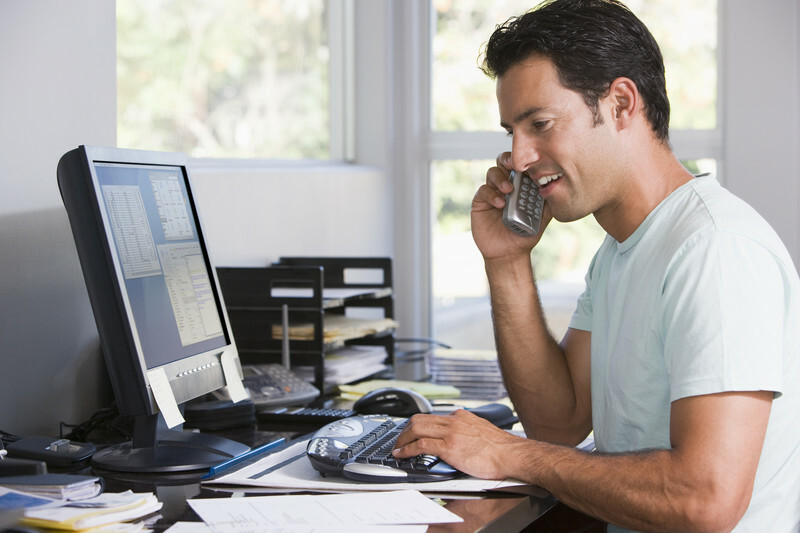 All the services offered by a virtual office make Working from home easy and convenient. Taking time off when you need it is also easy, so you can care for your kids without having work on your mind. When it comes to balancing your work-life and your home-life, having a virtual office makes it so much easier. Not only can you avoid the daily commute, but you also have the freedom to make your own schedule and the flexibility to work when you need to. All of the services now available to your business make working virtually easier than ever. While your career is important to you, make sure your family knows that they come first. Running a business from a virtual office has many benefits, one of which is having the ability to relocate cities without much of an upset to your business. It's easy to operate seamlessly between multiple virtual offices locations around North America. Perhaps it's time you consider a move that will make both you and your business more prosperous. Here are five virtual office locations in different areas of California where you're sure to pair your love of the sunshine with the success of your business. 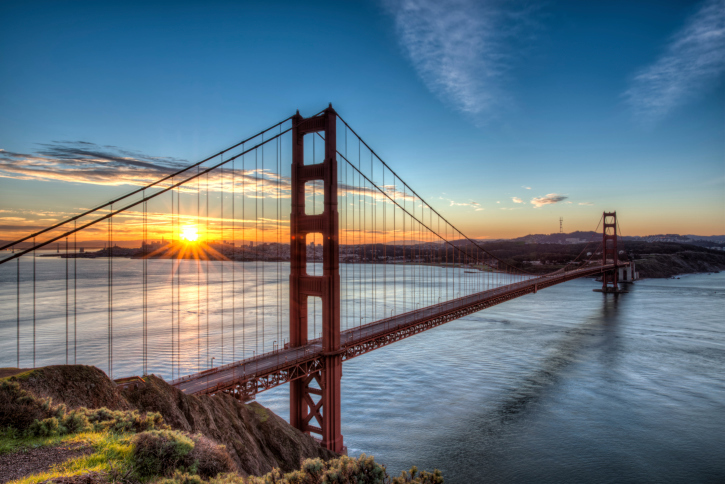 If you're ready to truly be a Californian business, why not opt for the center of world commerce and the transportation hub that is San Francisco? This San Francisco virtual office is conveniently situated on California Street in the heart of the financial district. Located on the third floor of a 52-floor skyscraper, which is the second tallest in the city and was formerly known as the Bank of America Center, you'll have access to all of the convenient amenities that come with any virtual offices with a bonus: an on-site cafe for your social and business networking needs. If San Francisco is your city of choice, consider checking out another option in the center of the financial district. Our Montgomery Street virtual office takes up the eighth and ninth floors of this Montgomery Street building, which is a 16-storey structure and another notable and sought-after business address that's sure to leave a lasting impression. If you're looking to transform your business into something a little more 'rockstar,' consider relocating to Beverly Hills, Los Angeles, where you'll find this virtual office ideally situated on the Avenue of the Stars and Santa Monica Boulevard. Your business is sure to progress quickly in Los Angeles - the largest manufacturing center in the United States - especially with the assistance of a prestigious corporate image. An alternative option to the prestigious Avenue of the Stars location is our virtual office tower on West Fifth Avenue, which offers full virtual office services and amenities along with a 24/7 security. The Gas Company Tower, where this virtual office is located, is an award winning, architecturally stunning building located in the historic core of downtown Los Angeles. Situated west of Beverly Hills just six minutes from the center of Santa Monica, be sure to consider this virtual office space as a relaxing alternative to the hustle and bustle of downtown Los Angeles. With 360-degree views of the ocean, as well as many restaurants and cafes within walking distance, you're sure to get all the sunshine you could ever wish for at this virtual office location. Whether you're looking for the hustle and bustle of a central Californian city or the relaxation of a beachside Californian town, you can find whatever suits your desires at our many virtual office locations across California. Take one step closer to the sunshine while furthering the success of your business, and opt for a California-based virtual office. For more information on our virtual offices and a full list of our virtual offices in California, visit us at https://www.yourcityoffice.com/business_address.php. Virtual offices are becoming all the rage in the business community, which makes perfect sense. After all, they are cheaper to run and manage than a traditional office, and they're also more environmentally friendly than a traditional office. This makes these types of offices very desirable, not to mention highly practical and sensible. The good news is that more and more new technologies are popping up in the marketplace that will only help you run your virtual office with more ease than ever. Here are three brand new technologies to help you do just that. Cloud storage is basically networked enterprise storage characterized by data that isn't stored in the user's PC. Instead, the data sits in virtualized pools of storage that are typically hosted by 3rd parties. This is a really hot way of storing data these days if you are on the go a lot during your business day. Google and Microsoft are just two examples of big companies that provide free cloud storage, which is ideal for a person working out of a virtual office. The beauty of both Google's and Microsoft's services is that you can access them from your smartphone, thereby letting you work wherever you are. VoIP is an acronym that stands for voice over IP. It's a technology that's been increasing in popularity over the last few years because it allows users the chance to appear professional to their clients, even if they're working out of a virtual office. If you use VoIP, you can connect to the main phone system (PBX) and create an extension that becomes as integrated to the office system as a main office desk's extension. Now, you can also save some money because your intra-office calls will be completely free! For remote workers, the main office's PBX can be replaced with a VoIP system; they can then be put on VoIP phones from their virtual offices. The good thing about implementing VoIP is that videoconferencing is just a logical extension of it, but it's a much more sophisticated application that can be utilized. 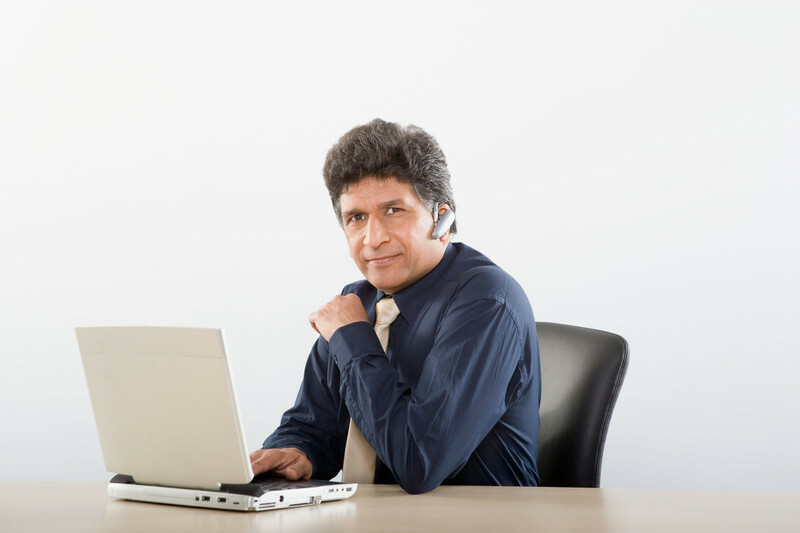 One of the most popular options for using videoconferencing is the VoIP softphone. What's a softphone? A softphone is a software-based telephone that can run on either a laptop or a PC. Even using a webcam or a video camera is a suitable option here. These are the three brand new technologies that will help your virtual office to run as smoothly as possible. In today's business world, you don't just want to be as efficient as you can possibly be, but you also want to have the latest technology to help you get things done. They are different methods that you can rely on in order to get the most out of your virtual office, too. Technology like cloud storage allows you to be more mobile, while both VoIP and videoconferencing provide that extra bit of professional appearance to your virtual office setup. Sitting at a desk is one of the worst positions for the human body, yet many of us who work in offices—virtual or otherwise—are confined to this position for eight hours or more a day. Getting exercise at work is easier than you may think; all it takes is some creative thinking and a bit of extra initiative. Here are five great ways to make exercise a regular part of your workday at one of our virtual office locations. Even standing up burns more calories than sitting. Making the choice to stand rather than sit is the easiest way to get some exercise at the office. Try standing up while you're talking on the phone, while you're thinking about what to write in your next email, or even while meeting with co-workers in the conference room. You may have gotten your commute down to a science—find the closest parking space to the door, take the quickest elevator to your floor—but making a few changes to incorporate more walking can make a big difference to your overall health. Take the stairs instead of the elevator, park farther away, or get off the bus a few stops earlier than you need to. Walking is a great form of exercise, and incorporating walking into your commute is a great way to get your body moving every day. There are plenty of exercises you can do in the office without even getting out of your chair. Start with some leg lifts by holding one leg out in front of your body for a few seconds at a time. Then do some hamstring stretches with your leg right up on top of your desk. For more vigorous exercise, you can even do push-ups against the side of your desk, or push your chair out of the way and do some squats while checking your email. If you don't have time to go to the gym on your lunch break, you can bring the gym to work by keeping some fitness equipment stored in your virtual office space. Keep a few free weights next to the toner in the supply closet, or stash some resistance bands in your desk drawer. Walking is not only good for the body, it's good for the brain as well. We actually think better when we're moving, so why not take some work on a walk with you? You can walk around while talking on your cell phone, or even invite clients to meet you for walking meetings. With all the increased blood flow that walking creates, you're sure to come up with some great business ideas! Just because you work in an office doesn't mean you have to live a sedentary existence. 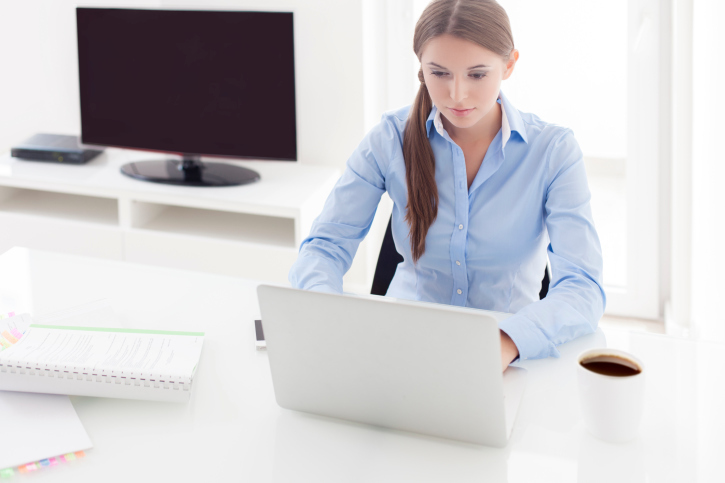 There are plenty of easy exercises you can do from any of our virtual office locations. Incorporate some of these tips into your workday, and you'll feel fit as a fiddle in no time. To find a virtual office that will be beneficial to both your working life and your health, visit YourCityOffice.com to see virtual office locations around the world. If you have a virtual office in San Francisco, there are lots of options for business lunches right at your doorstep. Unlike other cities in the USA, it's possible to have a sophisticated (and delicious) business lunch with your clients for under $10. Below are four of the best inexpensive lunch spots in the San Francisco area, all of which are must-try locations. A la Turca, located on Geary Street, was the first Turkish restaurant to open in San Francisco. Opening in 2002, this restaurant has been open for just over 10 years. This is a fantastic place to eat if you're craving doners, pides (puffy dough filled with cheese, meat or vegetables), or sucuk (a wrap filled with beef sausage). An all-time favorite here is the beyti kebap, which is a ground lamb dish with a tomato-pepper sauce and thick yogurt drizzled on top. If you're willing to have a business lunch on a Sunday, you can try the manti, which is only offered on Sundays. San Francisco is home to some of the most delicious burgers in the USA. Luckily, these gourmet burgers are also very affordable. Bill's Place is a great place for a leisurely lunch: a Giants game will be playing on the televisions, or if the weather is nice, you can sit outside on the patio and enjoy the Japanese garden. Bill's Place has been open more than 40 years, and they have been preparing all their beef in-house for as long as they've been open. A must-have here: the Giants burger, which is a hamburger with cheddar cheese, bacon and avocado. If you've never tried Salvadoran food, take your client to the Balompie Cafe. The location in Outer Mission is the third Balompie Cafe in San Francisco. They sell the same classic pupusas as the other locations, such as the ground pork and cheese varieties. In addition to this though, this Balompie Cafe also offers specialty pupusas with shrimp and with prosciutto. You can also enjoy a craft beer at this Balompie Cafe on Mission Street. Located in the Tenderloin area of San Francisco, Lahore Karahi offers some of the most delicious, the most authentic and the most affordable Indian and Pakistani food in the area. Serving curries, biryanis, tandoori fish and even a goat curry, this restaurant is a must if you're in San Francisco. Each appetizer on the menu is under $5 and the main dishes are under $10. 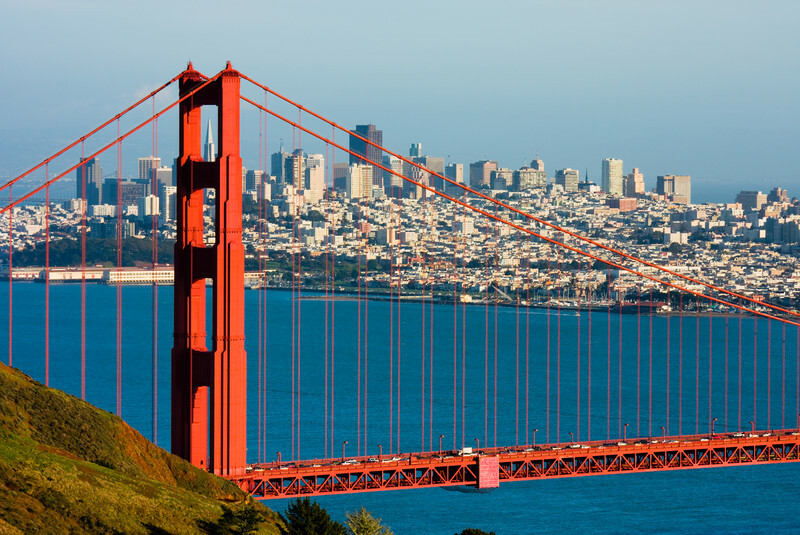 San Francisco is a hub of delicious culinary treats, and it's possible for you to sample a range of different foods and cuisines without breaking the bank. If your virtual office is located in San Francisco and you're unsure of where to take your client for that business lunch, any of these four restaurants would be great options. All of these restaurants are delicious, sophisticated, and best of all, affordable. Working means you lose a lot of energy concentrating on that certain task. A break offers you the opportunity to rest for a while, and get back some of that energy. However, taking a break outside offers you even more benefits than a regular break. Let's find out why. The light from the sun is a wonder. It maintains life on Earth, and keeps on giving to those living things. Besides the fact that it can give you a beautiful, natural tan, the sun can also make you happier. Research found that people who spend time outside in the sunlight have more positive emotions than those who don't. It's hard to relax while taking your break at your office. With the computer right in front of you, all the tasks you have to finish are right there under your nose. If you manage to fight the urge of finishing them while on break, you're still going to be followed by the guilt that you're not working on them. Plus, surfing the Internet isn't the best way to relax. If you go outside, however, you can break loose from the work you have to get done. You can clear your mind walking, or enjoy reading a good book. This way, you're going to have a lot more energy for when you begin working again. One of the most important things at work is the ability to stay focused. The better you're able to concentrate on your task, the better and faster you're going to get it done. Having a good memory is also very helpful. You can save time by remembering things you would otherwise have to write down. Research done at the University of Michigan showed that spending as little as 20 minutes outdoors had positive effects on memory and attention. However, subjects showed this result only while walking on rural streets. So, if you can, take your break in a park. It only follows that if going outside is a good way of relaxing, it should also fight stress. However, this isn't the only benefit. Spending some time outdoors also helps boost your immunity to stress. It means that you're going to be able to deal with problems more efficiently. This is much better than worrying constantly. Less stress will do wonders for your work, and it will also have a positive impact on your health. People who stress less are healthier. This is particularly true when comparing individuals with chronic stress to those with little to no stress. Taking your breaks outside is decidedly better than taking them inside. Even if the weather seems to be quite bad, get your umbrella or a warm jacket and go outside. You're going to feel refreshed and ready to take on the remaining hours at work! Interested in renting a virtual office? To find out more information, such as areas where they are available, please visit https://www.yourcityoffice.com. In the business world, virtual offices are becoming more and more popular, and for good reason. They are cheaper than a traditional office setting, and they also let budding entrepreneurs work from home, where it is more convenient, especially with families around. These virtual offices aren't just useful when it comes to saving costs and working more efficiently from home. They are also good for helping the environment, which is an additional perk of working out of this type of setup. Here are the three ways in which virtual offices can promote green practices in the business world. Virtual Offices Let You Go Green! This is not just a slogan. Going to work in a virtual office is like going to work in a green office because you will enjoy greener travel. You really should not travel to an office if you don't need to. Driving to and from work every day will no doubt pollute the environment; even if you take public transit, you still help to pollute the environment at least a little bit. If you go to a virtual office instead of a real office, you cut down on your commuter travel in a significant way. Mother Earth will thank you for it! When you go to work in your virtual office, you are essentially advertising the whole concept of green workers and also the flexibility of working in a green office. In other words, you are helping to promote flexible and remote job practices to the world around you, which is completely eco-friendly. Just by letting all your friends, family members and business associates know that you work in a virtual office, you're marketing the philosophy of going green, even at the office. This will have a contagious effect, as an increasing number of people see how effective having a virtual office can be. What's greener space? It's the opposite of squandered space, which is to be found in bigger buildings that feature a high desk-to-worker ratio. Sure, you could both heat and power up an office building, which would only produce exorbitant amounts of carbon. However, to be friendlier to the environment, you could conserve energy as well as lessen the amount of space that you use. This is flexible working at its best: Less space for fewer workers comes out to people sharing desks and occupying smaller office spaces. All in all, it's absolutely greener, but it’s also a more affordable method of working. 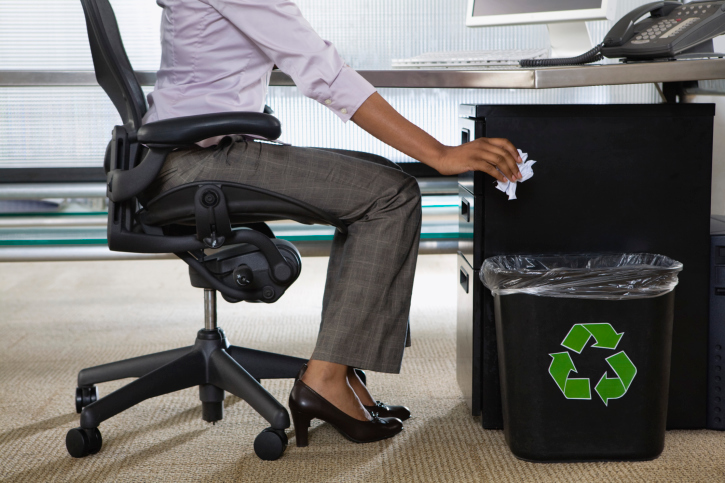 These are the three ways in which virtual offices can promote greener practices. 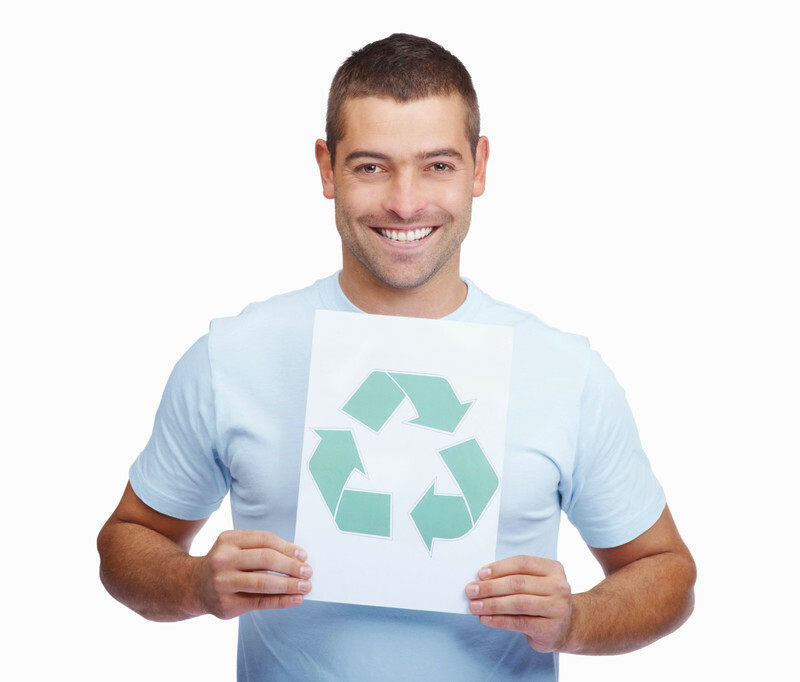 They are an excellent means through which you can work from home while also helping to conserve the environment. Not only will you go easier on Mother Earth when you work in a virtual office, but you'll also have a more convenient time of it. By Working from home, you get to spend more time with your family while you also look out for the environment. More and more businesses are switching to virtual offices as a way to save on overhead costs. However, some businesses are apprehensive, fearing that a virtual office could harm their employees' productivity. The reality is that virtual offices actually increase productivity. Read on to discover how a virtual office can drastically increase productivity and help your business grow. Recent studies have shown that working from a virtual office results in improved employee satisfaction, which in turn increases productivity. After all, happy employees are productive employees. Individuals working from a virtual office reported higher job satisfaction, and were 50 percent less likely to leave their job. In addition to this, working from a virtual office increases flexibility, improves one's work-life balance, and allows employees to work more independently, all of which contribute to improved satisfaction and productivity. Having a virtual office is in your business' best interest as individuals working from one are less likely to take sick days. Not only are these employees less likely to get sick due to a more relaxing work environment, they also have the freedom to work at their own pace when they are feeling unwell. Fewer sick days means more employees working for your business. One of the reasons that virtual offices make employees so productive is that it is possible to work in different locations. In fact, a recent study found that 70 percent of individuals working from a virtual office worked in more than one location, with 49 percent working in 1 to 3 spots. 28 percent liked to work in coffee shops, while 29 percent liked to work in hotels, libraries or even restaurants. Changing location breaks routine and stimulates creativity, both of which will contribute to a business' productivity. That same study found that employees simply work better from a virtual office. While close to 10 percent of those surveyed were more productive because they worked more hours, 90 percent were more productive simply because it was easier to start work on time, there was no long commute to worry about, and they took fewer breaks. Contrary to popular belief, there are actually fewer distractions working from a virtual office. While it does require discipline and self-starting, there are fewer social distractions when working virtually. There are no colleagues to gossip with for hours on end, which of course is beneficial for any business. Studies have shown that employees who work from a virtual office can double their productivity and are more satisfied with their jobs as well. However, there are obstacles to overcome for some; working from a virtual office isn't for everyone, and some struggle to deal with the isolation that can accompany it. For the most part though, a virtual office will help your business in a variety of ways. Not only can you save millions on overhead costs, but your employees will be more productive too. If you feel like you're drowning in documents, it's probably time for some cleaning. However, you have to be careful about what you keep and what you shred. Once shredded, many important documents can’t be replaced. Let's have a look at a few guidelines. With business licenses, the question should really be which frame to put it in, not whether to shred it or not. It's one of the most important documents standing at the base of your business. This is why you should display it proudly on a wall. It doesn't matter how many copies of the license you have online or offline. Keep the original. Did You Get a Loan for Your Business? Keep the Loan Documents! Loan documents are extremely important, so you should keep them. Getting copies made of the documents is also a good idea. This way, you’ll still have something to show in case you lose the originals. However, keep in mind that the original is always better, so keep these documents in a safe place. Getting insurance for your business is a must in many cases. This will protect you from costs that you couldn't have predicted. Because your insurance is so important, the details of the policy are equally worthy of your attention. So, take the policy contract and put it in a safe place. It's a good idea to have a digital copy as well, just in case something happens. Paystubs and bank statements should be kept for at least a year. After this period, it's your choice to keep or shred them. However, remember that simply throwing them away is a very bad idea. These types of documents have to be shredded, because they contain sensitive information. After a year, throw them in the shredder if they’re just taking up space. You are required to keep your tax records for at least seven years. If you want to be on the safe side, you can keep them for longer than that. However, once you're ready to get rid of them, feed them to a shredder. What Else Should You Shred? Shredding is usually done to keep private information private. It saves you the trouble of fighting against identity theft. Because of this, it's a good idea to shred any documents related to work or finances, or that contain personal details, when you’re ready to get rid of them. This will ensure you're on the safe side. There are a few things that should always be shredded. Voided or cancelled checks should go into your "to shred" pile. 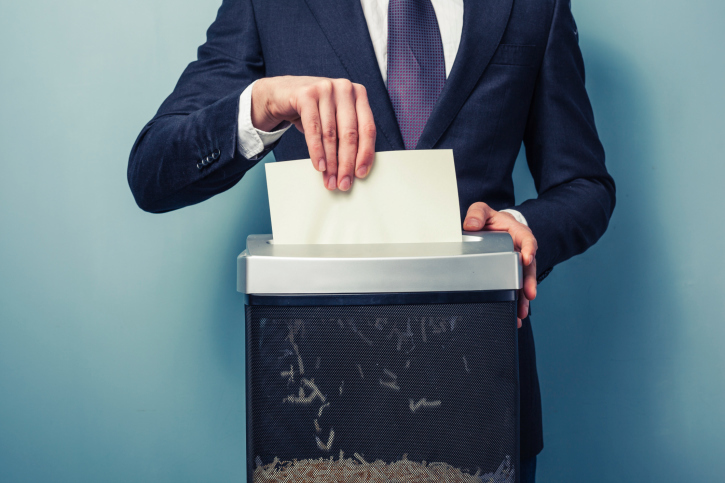 Anything else that's expired or that was never used, such as contracts and other records should be shredded. Anything else that has signatures on it should also meet the same fate. Shredding is a good way to get rid of documents that are no longer useful. However, you have to be careful about what goes in the shredder. Otherwise, you might end up throwing away something important. If you'd like more information about issues related to business, or about virtual offices in general, be sure to visit https://www.yourcityoffice.com. We can answer all your questions in case anything is unclear.